Robot Wars, which, yes, involved robots fighting each other for our entertainment, was on and off our screens at regular intervals for six years between 1998 and 2004 until it disappeared from TV all together, only to be kept alive in the form of live events around the country. Originally presented by Jeremy Clarkson for the first series, Red Dwarf's Craig Charles took over for the rest of the run with various co-hosts and the battle commentaries were always provided by football commentator Jonathan Pearce. Well, now it's coming back to BBC Two! 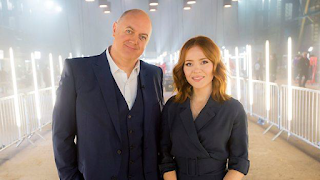 Dara O Briain and Angela Scanlon host the brand new series of Robot Wars with commentary again from the legendary Jonathan Pearce who returns from the original series with his inimitable take on the robot battles. Filmed in a huge (20 m square and 7 m high), purpose-built fighting arena in Glasgow, 40 teams of amateur robot fighting enthusiasts battle it out over six episodes to become Robot Wars Champion 2016. 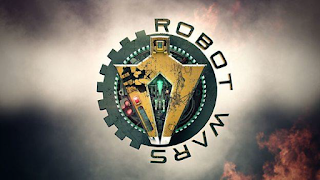 The format hasn't changed much - each episode has eight competing robots. The action starts with two group battles, with four robots in each battle. The top two robots from each group battle then go through to head to head battles where all four robots fight each other once. The top two then compete in the episode final – the winner going through to the Grand Final. In each round of the competition, the robots will fight in a timed battle. The winner will be decided by either a ‘knockout’ (flipping your opponent, dumping your opponent in the "pit" in the arena or immobilising your opponent for 10 seconds) or if there is no clear winner once the time runs out, a panel of three expert judges will agree on a ‘judge’s decision’. Professor Noel Sharkey - Professor of Artificial Intelligence and Robotics at Sheffield University, Prof Sharkey is the only judge to appear in every series of Robot Wars. Prof Sharkey is also a co-director of the Foundation for Responsible Robotics. Professor Sethu Vijayakumar - A world-renowned roboticist and Director at the Edinburgh Centre for Robotics in the School of Informatics at University of Edinburgh. Doctor Lucy Rogers - Doctor of Mechanical Engineering and owner of engineering consultancy, Makertorium Ltd, also business and technology communications specialist and author of It’s Only Rocket Science. The judges base their criteria on aggression, damage and control – so everyone has to attack from the start. The Arena itself contains the dangerous hazards of Fire, Spikes, The Flipper and The Iconic Pit and, as well as battling it out against each other, the robot teams must avoid the infamous and intimidating House Robots. Aiming to terminate anything that strays into their Corner Patrol Zone , Sir Killalot, Matilda, Shunt and Dead Metal show no mercy as they menacingly patrol the arena ready to destroy. They are ‘descendants’ of the original show and have been evolved and upgraded to modern-day standards - bigger, stronger and more brutal than ever before! The new presenters Dara O’ Briain and Angela Scanlon answered a few questions about the new show. 1. Why do you think people love Robot Wars so much? 2. What was the atmosphere like during filming? 3. Who’s your favourite House Robot? 4. Were you a fan of the original Robot Wars? 5. 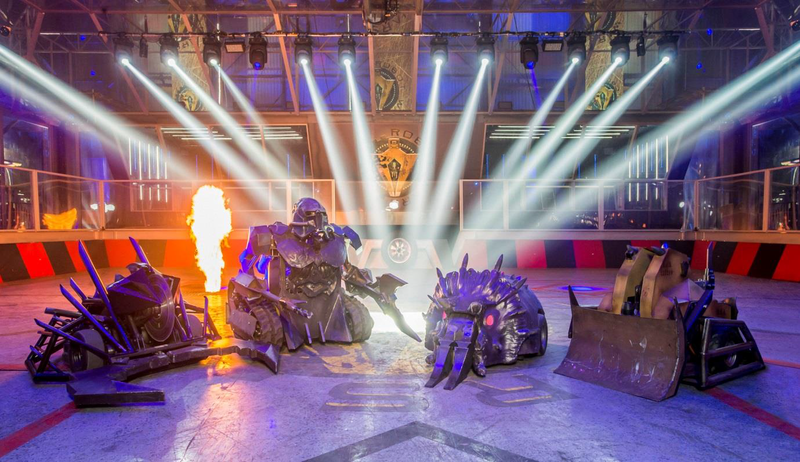 What’s different about the new Robot Wars?